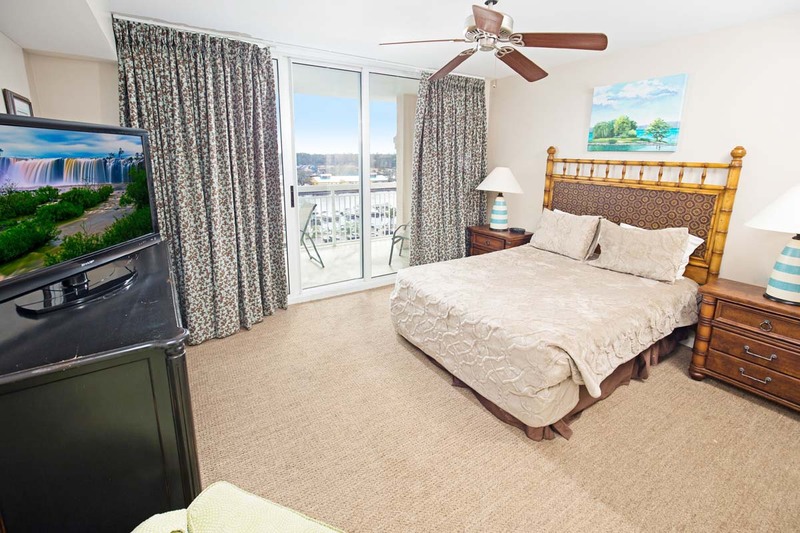 Come visit the North Tower at Barefoot Resort by Beach Vacations for a wonderful getaway to beautiful North Myrtle Beach, South Carolina. 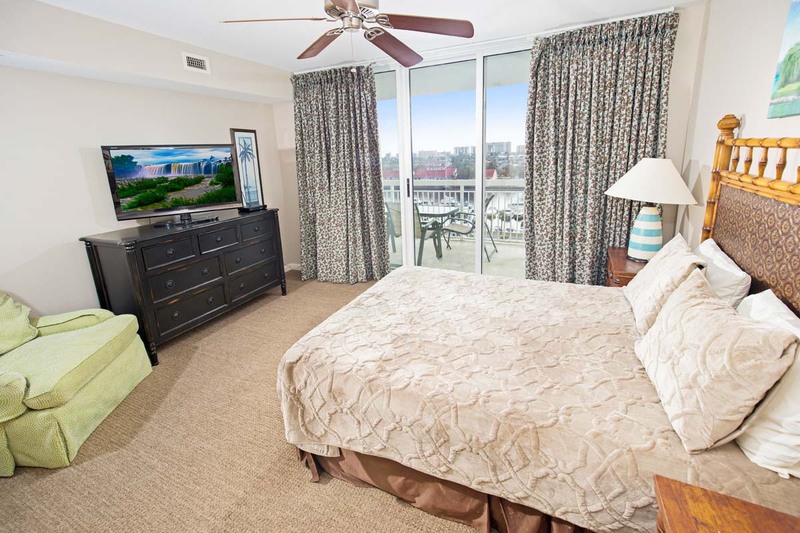 Our 3 bedroom, 3 full bathroom luxury condo rental will leave you dreaming of returning to the coast year after year! 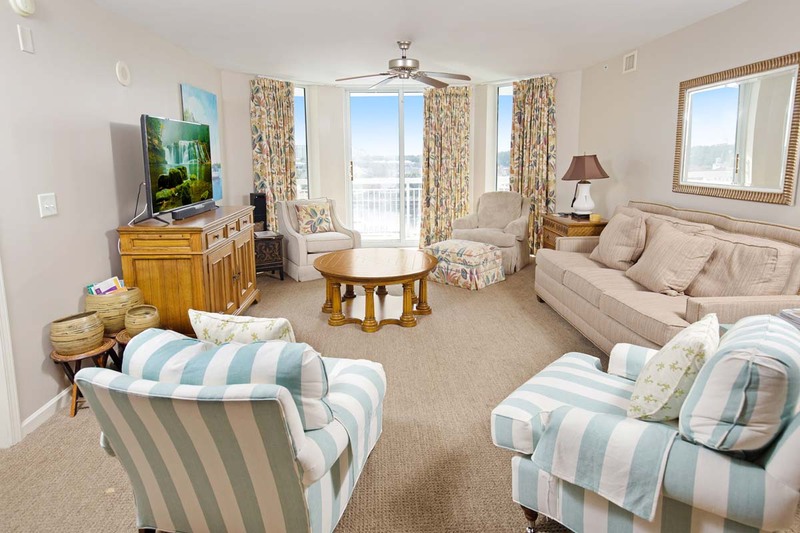 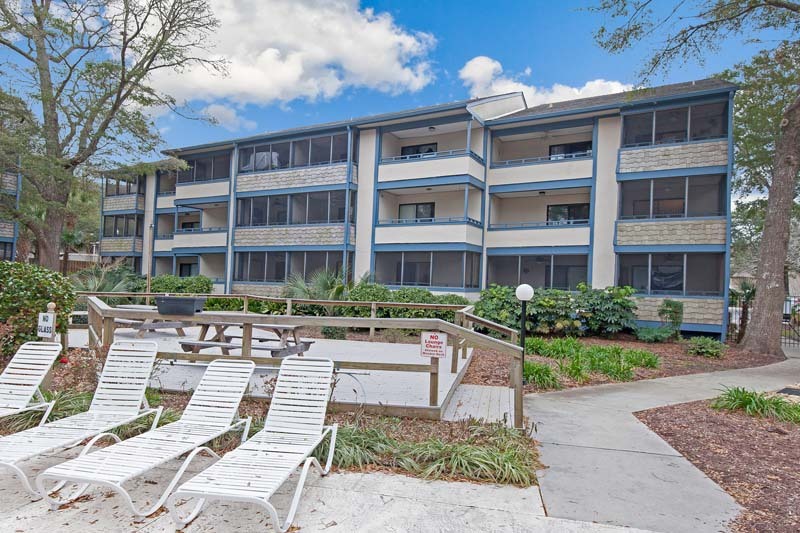 This 9th floor vacation rental provides you and your guests with plenty of room, with its spacious accommodations and comfortable bedding. 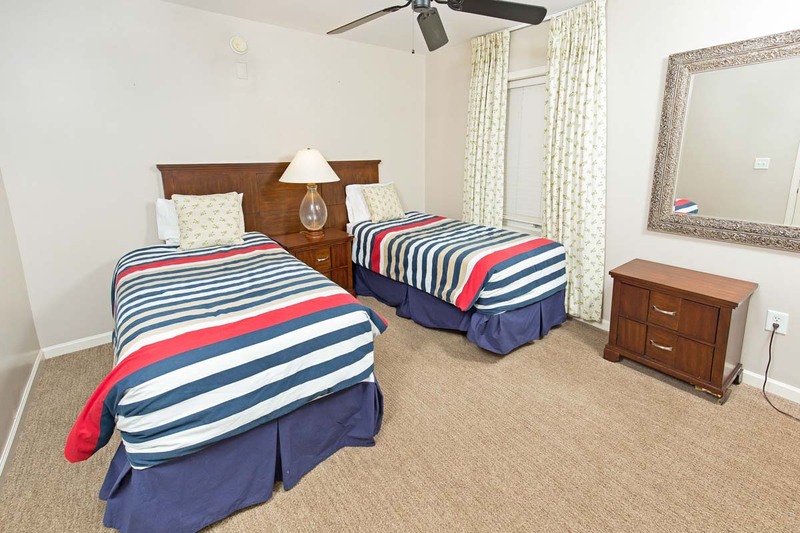 Bedding includes 1 solid King, 1 Queen, and 2 Twins, making it perfect for groups of 6 or less. 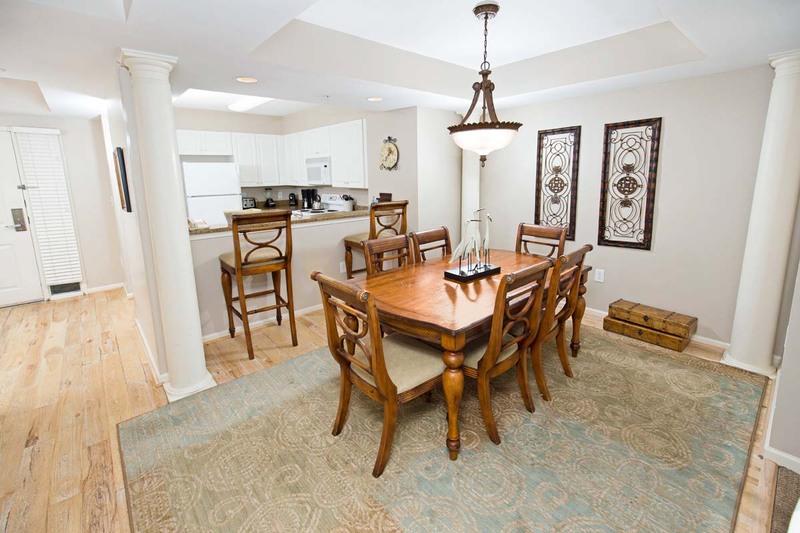 Enjoy the convenience of having your own full kitchen while you vacation with us at the North Tower. 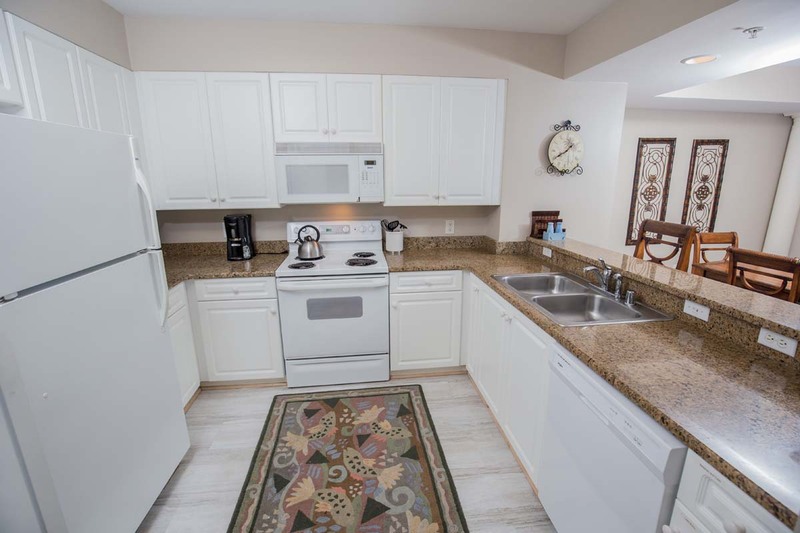 The fully-equipped kitchen comes with granite countertops, major appliances like refrigerator and stove, cookware, and utensils. 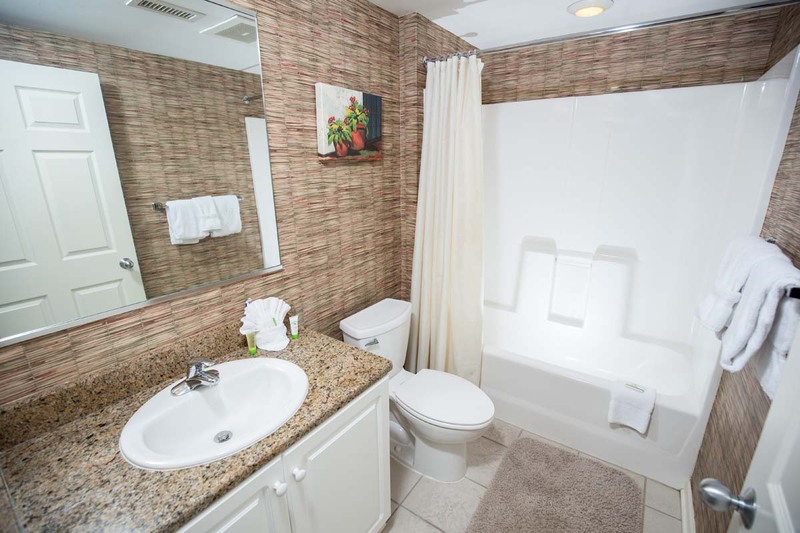 You'll also love having a washer and dryer in your unit to take care of all of your laundry needs. 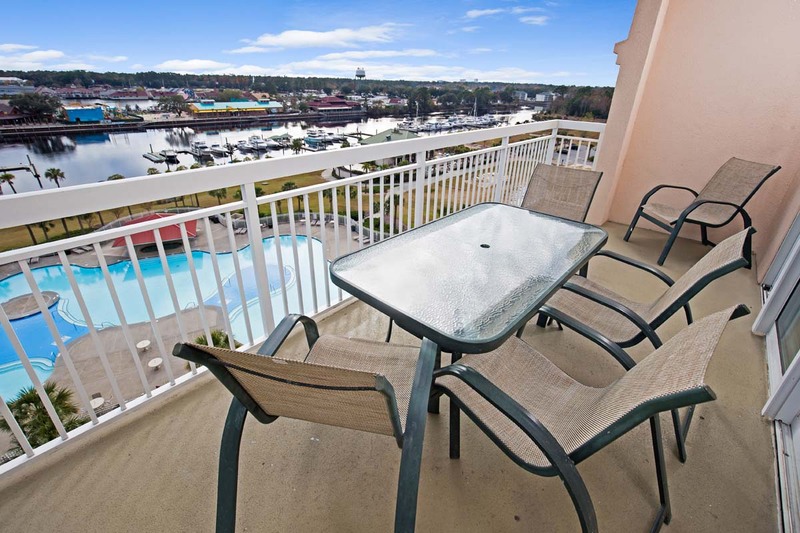 Enjoy the view of the Intracoastal Waterway and outdoor sparkling swimming pool from the privacy of your own balcony! 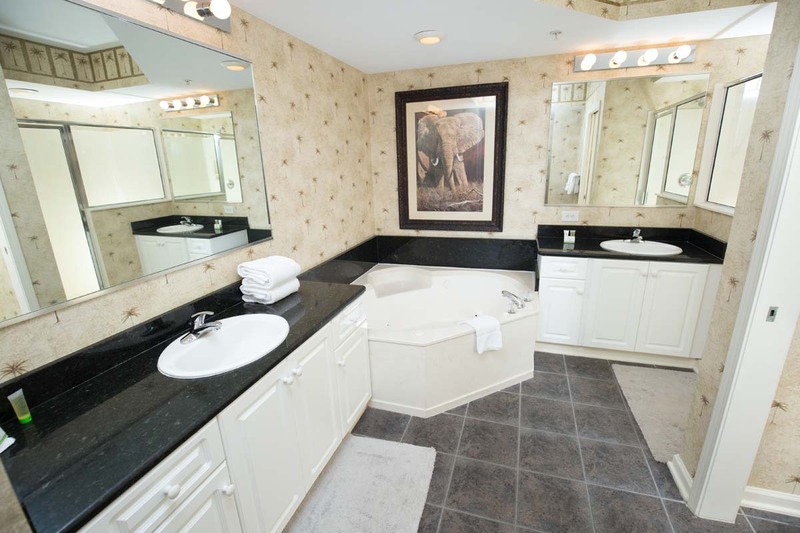 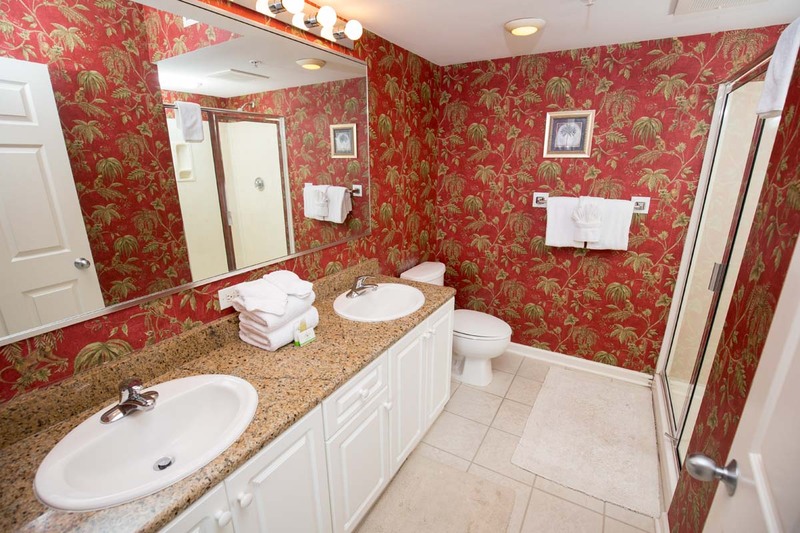 Other on-site amenities include outdoor Jacuzzi and BBQ grilling areas. 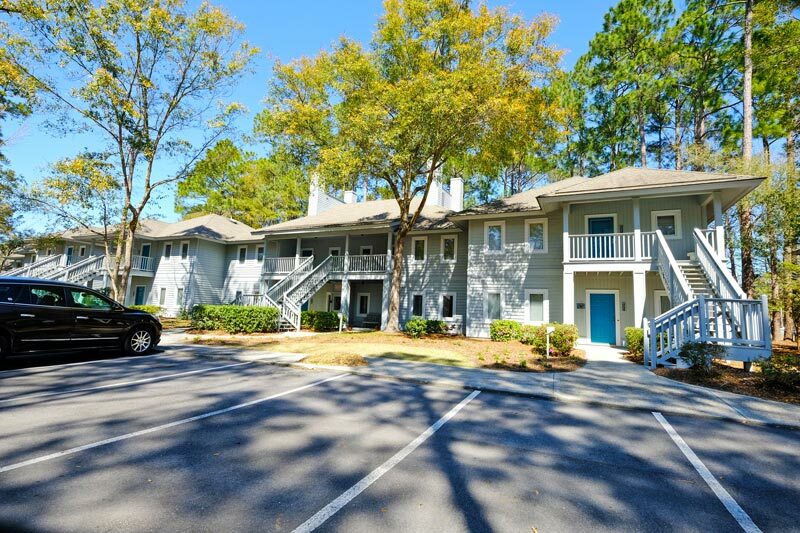 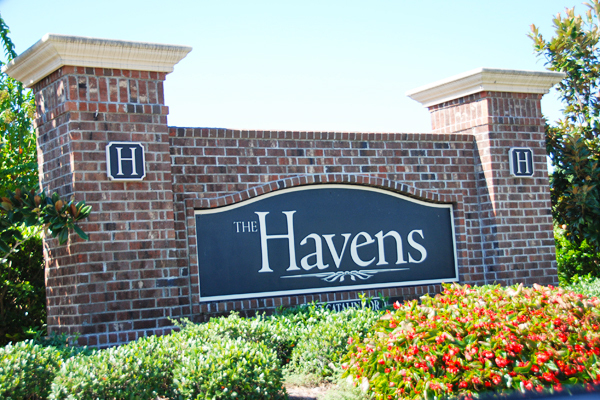 When you're ready to spend time away from the condo, you're just a short drive from the ocean and tons of Grand Strand attractions. 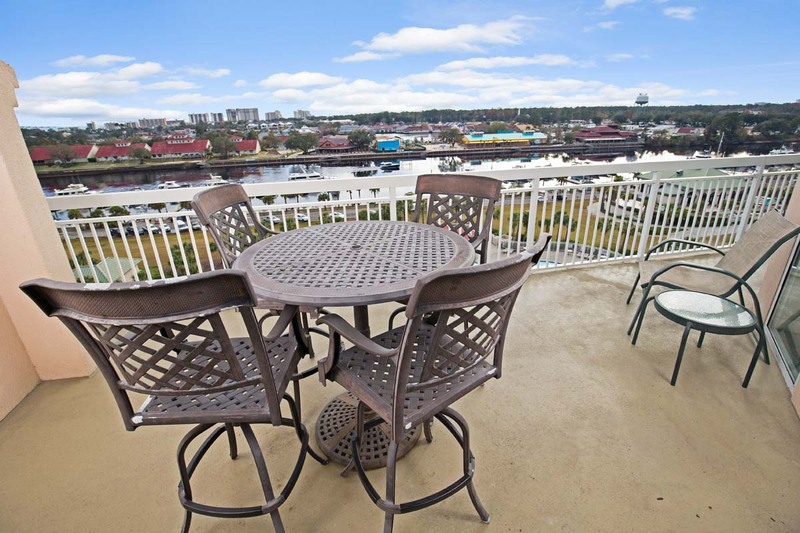 Shop at Barefoot Landing for a one-of-a-kind experience, or head further south and discover all of the excitement surrounding the Broadway at the Beach and Boardwalk areas. 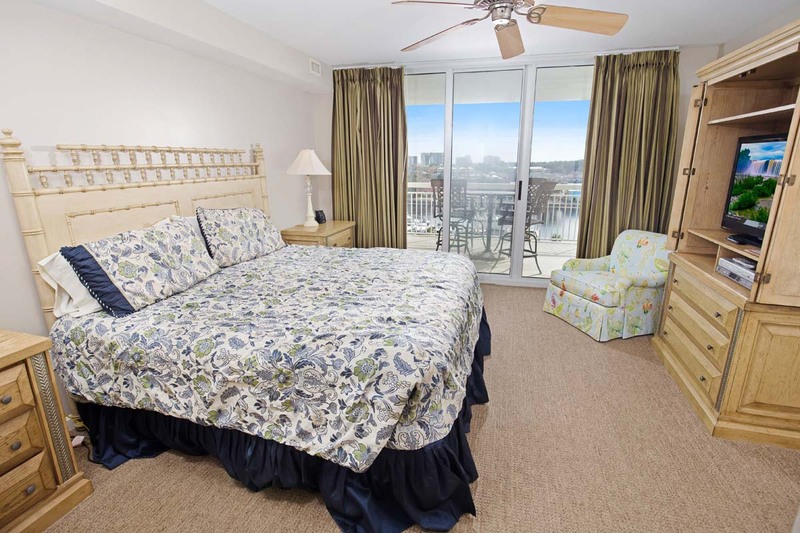 When you stay in North Tower 905, you'll be close to everything, while having the right amount of relaxation and privacy!